Santa Monica Pier, located on a legendary, award-winning sandy beach, has over the years acted as a major focus point for both citizens and tourists alike in Santa Monica, the chic little city on the sea. Originally built on concrete piles, the pier had to be restructured with wooden piles due to rust and fracturing of the concrete which not only restored the faith in the public but also gave the pier an authentic marine-type look that was more aesthetically pleasing. 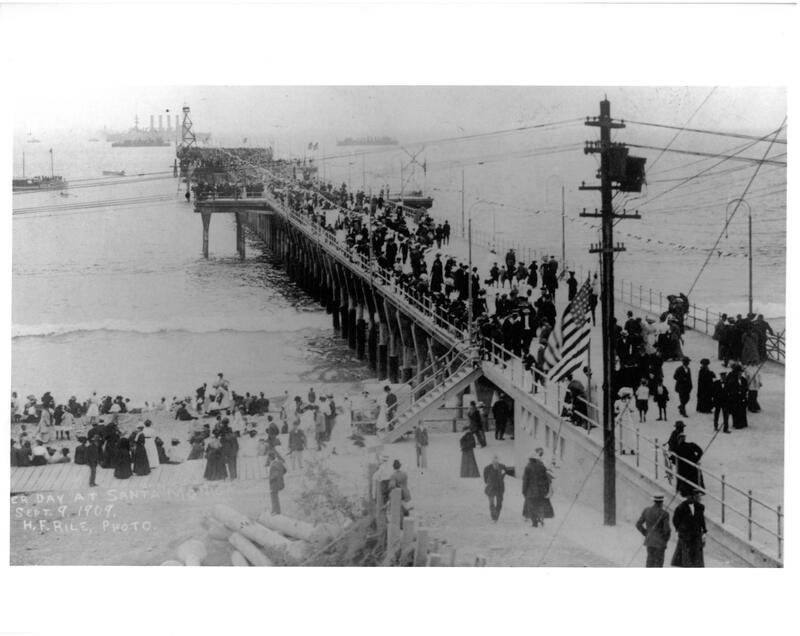 The pier became an instant success with the fishing community – people came from all over California to drop over their lines, hoping to catch the legendary ”Black Sea Bass’. 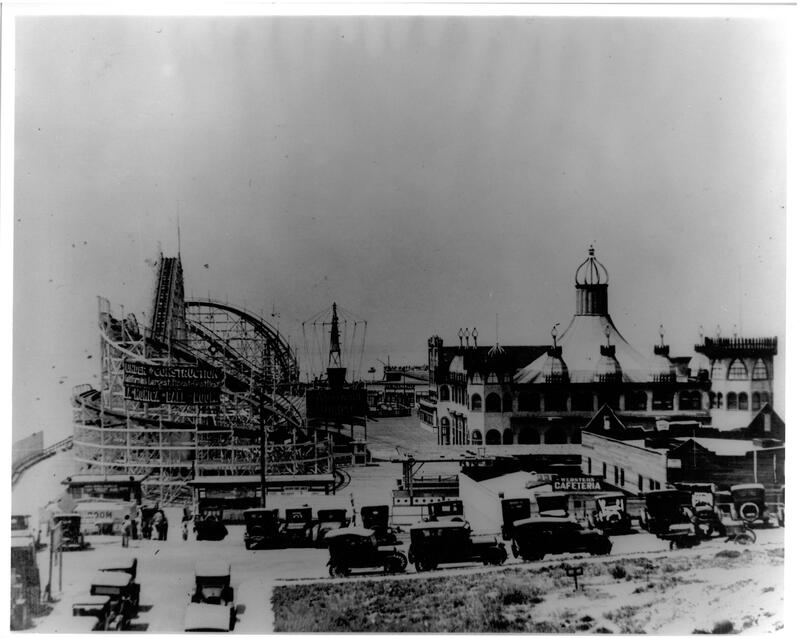 -1920’s – Santa Monica Amusement Company bought the amusement park and begun building a Dipper and a ballroom. 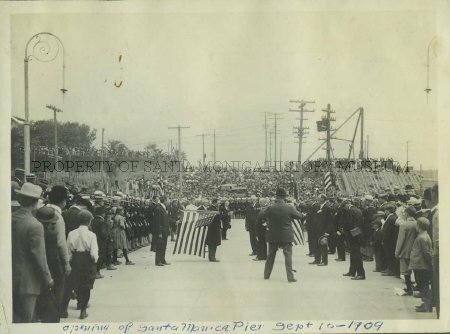 -1924 – 50,000 people attended grand opening of La Monica Ballroom on Pier and it was named ‘a castle floating over the ocean’. Sadly due to the 1930’s depression, it soon shut its doors. -1938 – Mobster Tony ‘The Hat’ Cornero anchored his barge SS Rex three miles off the pier and declared it the base for his water taxi service. After an eight day stand off with officials, Cornero surrendered claiming he ‘needed a haircut’. -1943 – Walter Newcomb bought the park and added his 1922 Toboggan Company Carousel. -1972 – Plans were made to rebuild the Pier into a man made resort island. After passionate rallies from the community the plans were overturned. 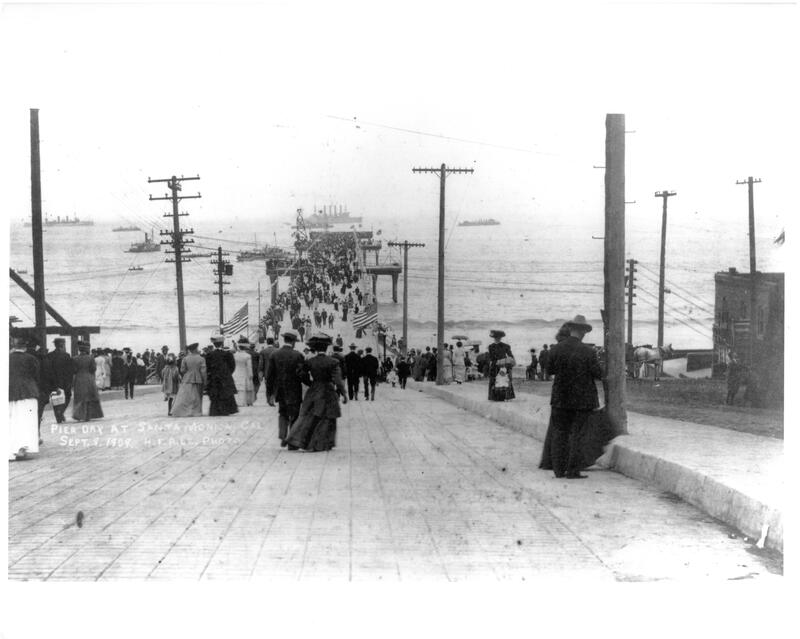 This showed the popularity of the pier among locals and how they felt that in losing it, they were losing a structure that plays a vital role in the heart of Santa Monica history. Santa Monica Convention & Visitors Bureau is a client of Magellan PR. For more information, please visit http://www.santamonica.com , follow them on twitter @GoSantaMonica or on Facebook/visitsantamonica. Santa Monica Pier is on twitter – follow them @SantaMonicaPier and on Facebook/TheSantaMonicaPier.